LEOSPHERE, the world leader in LiDAR technology, has announced today the validation of its patented Flow Complexity Recognition (FCR) system upgrade to deliver wind measurement data of superior accuracy on complex wind sites. The strong performance of the FCR-upgraded WINDCUBE V2 LiDAR was field-tested and validated by DTU, on ERS’ 48 MW wind farm located in Bosnia - Herzegovina. The Hrgud wind farm, chosen for the field validation testing, is a turbulent and complex wind site, located on an oblong 100m high hill about 1.5km North of a 1000m deep and 2000m wide canyon. In this field test, a 77.5m reference met mast was erected and instrumented by COWI to perform the wind resource assessment as part of a larger feasibility study for ERS, the wind farm owner. 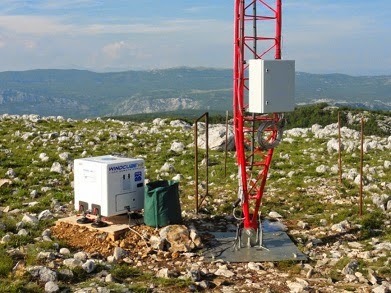 A WINDCUBE V2 LiDAR was installed next to the met mast in order to provide an additional set of wind data and establish a LiDAR/Met Mast comparison. This measurement campaign, led by DTU, was conducted with both the regular WINDCUBE LiDAR, and the FCR-upgraded machine. The results showed that the use of the FCR option on the WINDCUBE has led to a reduction of the measurement bias from -4.1% to +1.5% compared to the cup anemometer met mast. The greater accuracy of the results is in line with other FCR field tests. “Until now, in both complex terrain and complex flow situations, all remote sensors on the market have shown a measurement bias due to the lack of flow homogeneity across the measured volume. With our FCR option, we offer a product that significantly reduces this bias. The WINDCUBE V2 provides direct and accurate wind measurements on complex terrain, thereby eliminating the need for CFD-based post-processing or post-correction of data, and saving time and money for project developers.”, continued Alexandre Sauvage. This measurement campaign proves the unmatched accuracy of the WINDCUBE v2 whatever the terrain configuration, flat or complex. Wind energy developers can use this light, ultra-portable and easy-to-move remote sensor with ease and confidence at all sites for bankable wind measurements, whether in simple or complex terrain.